Machine learning and Statistics have co-existed for the longest time and have often been under scanner for the similarities and differences that they pose. While it is most widely accepted that machine learning has adopted a lot of methods from Statistics, the objectives of both of these are pretty much the same, which is largely understood from the fact that Statisticians and ML practitioners often end up working together. It also suggests that while Machine learning is relatively new, Statistics has been prevalent for a long time. Despite the two terms existing together and making the most of each other, the difference between the two remain the most frequently asked question. It is no doubt that Statistics is better understood as a field given its longer existence, ML largely overlaps with it. There are many theories existing around the same, with some suggesting that Machine learning is glorified Statistics while others suggesting that there essentially is no difference. Since these fields are quite elaborate, pinning down on all the differences could be a daunting task. There may be differences in terms of processes, applications and the overall goals and objectives. To begin with it is important to understand the objective behind these tools, which is primarily learning from data. Both these approaches aim to use the data generated to understand the underlying phenomena. It is like two games being played on the same board but with different rules. In the next few minutes of read we are going to pinpoint some of the prominent differences that they have. They have differences in terms of volume of data involved, human involvement for building a model, degree of assumption, amongst others. If we scroll through the books to find the definition of each of these terms, you would find that they suggest machine learning to be an algorithm that can learn from data without relying on rules-based programming, whereas statistical modelling is formalization of relationships between variables in the form of mathematical equations. Once we have scrolled through the definitions, let’s try to understand what this means and get an insight on some major point of differences between these two popular tools. As we have mentioned earlier, both statistics and machine learning create models from data, but for different purposes. While statisticians focus on metric called statistics, where they convert raw data into smaller number of statistics, machine learning is largely based on historically labelled examples. With their basic metric, the statisticians go about using it for various purposes such as deriving simpler ways of understanding the complex data or making statements about the data. The estimation and prediction using statistics may however not always lead to perfect information. Analysis is the final product and every step should be documented and supported. As a matter of fact, it deals with model validity, accurate estimation of model parameters, and inference from the model. Machine learning is however more about prediction than analysis. Originally a part of AI, it has veered its way to more engineering and performance based approach. In Machine Learning, the predominant task is predictive modeling, where ML algorithm is given a set of historical labeled examples to create a model, the purpose of which is purely functional. The task involves the learning algorithm analyzing the data examples and creating procedure that can accurately predict its class. The volume of data involved plays a crucial role in setting apart these two tools. Machine learning algorithm that performs complex tasks such as prediction and be a part of recommendation engines such as YouTube, can process and read through trillions of data and observation in fraction of seconds to come up with perfect results. It is also estimated that machine learning algorithms can easily process dataset with thousands of parameters in a record time. 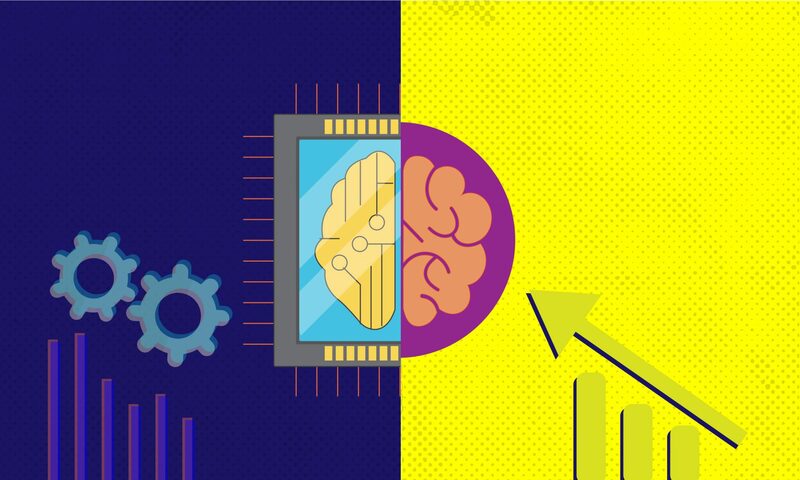 The reason why Machine Learning has picked up so drastically in recent past, is the fact that we not have processing power and capabilities to process all amount of data. Statistical model traditionally were made via pen and paper. Computational power brought a great device in hands of statisticians, who now can run large amount of data in fraction of time. So, yes, statistical models also run on large amount of data recently, but that is not a necessity, unlike ML where availability of large amount of historic data is definitely needed. There is a drastic difference in the number of assumptions that these two tools work on. Statistical modelling for instance work on large number assumptions compared to machine learning algorithms. Whether it is linear regression or logistic regressions, they come with their own set of assumptions. For instance, a linear regression assumes that there is little or no multicollinearity in the data, linear relation between independent and dependent variable, homoscedasticity, amongst others. Machine learning on the other hand doesn’t rely heavily on these assumptions. ML algorithm doesn’t require the distribution of dependent or independent variable to be specified. Machine learning works on iterations and tries to find out patterns hidden in data, over and over again. This requires as less human dependence as possible to achieve better results. Machine learning involves the machine evaluating a lot of data and is independent of assumptions, predictive power is strong for these models, thereby reducing human efforts drastically. As we know, lesser the assumptions are, higher will be the predictive power. Statistics on the other hand involves statistical models to be mathematics intensive and based on coefficient estimation. It requires the modeler to understand the relation between variable before putting it in, hence more human efforts.